Cambridge is a city on the River Cam in eastern England, home to the prestigious University of Cambridge (one of the top universities in the world), founded in the 13th century. There is archaeological evidence of settlement in the area in the Bronze Age and in Roman Britain; under Viking rule, Cambridge became an important trading centre. 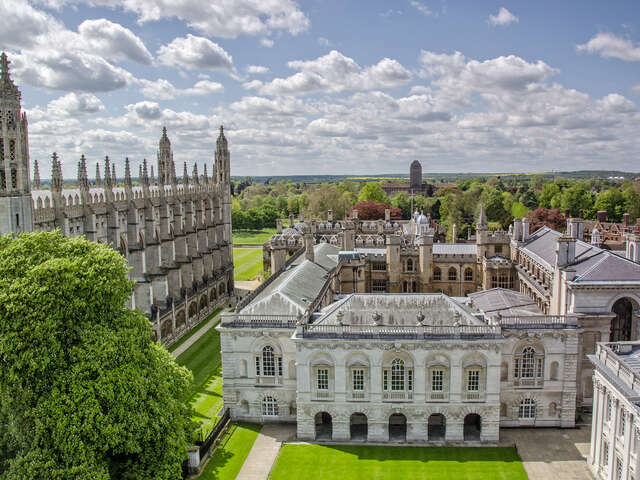 Cambridge is at the heart of the high-technology Silicon Fen with industries such as software and bioscience and many start-up companies spun out of the university. The city is also home to the Cambridge Biomedical Campus, one of the largest biomedical research clusters in the world, soon to be home to AstraZeneca, a hotel and relocated Papworth Hospital.